What is the colour of the dresser? And to you, and to Chook too, of course. Sydney just has the best fireworks, doesn't it? Though I'm glad that Mr Dog and I don't live there. It'll be rough enough here. Row, I think you've done a great job. Yes, the roller blind may no longer live in that room. Thanks for sharing the other pics -- see, you were dreaming of pattern on walls before I came along. What sort of mirror/picture would you put behind the dresser?? Haha, Jodie. If the container was full of jelly beans...it would be put to very good use! I did a quick search for lamps, so here are a few just to get you thinking. Probably a tallish one so two people can easily read in bed. Some of the lamps have shades that look like they might match the colour of the shades on your pendant light. Square Set Cornice - ceiling same colour as walls? & what colour? 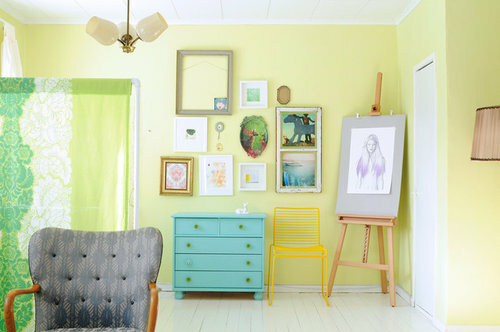 Suggestions from neutral colours: https://www.dulux.com.au/colour/colour-trends/2018/essential Ceiling &amp; walls the same colour is a good choice for square set. There will be subtle hue difference in various lighting situations anyway, which provides depth and makes for an interesting look.